This product rapidly restores the proper function of the catalytic converter and brings about an almost immediate improvement in emissions. The cleaner also cleans the entire fuel system and prevents fouling of the catalytic converter. JLM Petrol Catalytic Converter Cleaner cleans the entire fuel system and prevents fouling of the catalytic converter. 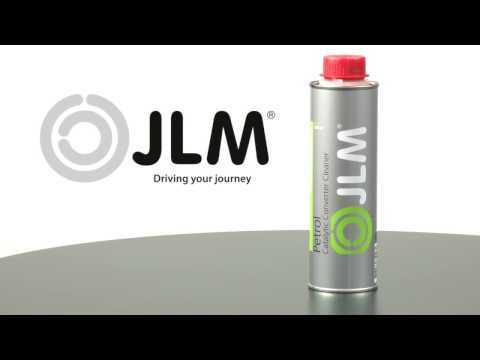 In contrast to most other products, JLM Petrol Catalytic Converter Cleaner also contains a ‘combustion improver’ which brings about an immediate improvement in the engine combustion (even before the cleaner has actually cleaned the entire fuel system) and this is immediately reflected in lower emissions. This means that the car will pass the emissions test in the MOT test more easily, so the customer is back on the road sooner. JLM Petrol Catalytic Converter Cleaner is a highly concentrated cleaner that remedies and minimizes carbon deposits and contamination in cars fitted with a catalytic converter. Cleaning the fuel system, valves, pistons and injectors makes combustion more efficient, which in turn leads to lower emissions and prevents contamination of the catalytic converter. JLM Petrol Catalytic Converter Cleaner is a specially developed, unique combination of additives that rapidly ensures the correct function of the catalytic converter, reduces fuel consumption and remedies power loss due to contamination. This makes JLM Petrol Catalytic Converter Cleaner the ideal product for the professional car mechanic to use before an emissions test (e.g. before the MOT test). Catalisator storings lampje brande telkens na een paar honderd kilometer weer na ressetten. Heb een flesje in de tank gedaan en afgetankt. Hier na de tank leeg gereden tijdens, voornamenlijk, 2 lange ritten op de snelweg met normale snelheid. Ben nu zo'n 4000 km verder, ook veel korte ritten en de storing is niet meer terug gekomen ! Het heeft dus zeer goed geholpen en dure onderzoeken en reparaties voorkomen. TOP product!